I only had ten bucks on me when I decided to go in search of sea-salt caramel gelato in my neighborhood. The Gristides had still not replaced its Haagen-Dazs, but I figured if you can't get gelato somewhere on the Upper West Side then forget it. I'm starting to wonder if I'm craving ice cream lately because this neighborhood might well be the marijuana capital of the world and I'm getting a mild contact high leading to munchies. My neighbor is blazing all the time and every time I go for a walk I inevitably smell that aroma. And why not - it's so white around here the chances of the cops busting people for smoking is almost nil. I remembered there was a storefront gelato stand around but I couldn't remember where, but I finally found it on Amsterdam and 94th Street - Screme Gelato bar. The gelato (and sorbet) looked so good in those tubs - it's even made locally. And a handsome man with an accent (possibly Italian) served me. It was all so promising. I was down to nine bucks after I had given a dollar to a homeless woman sitting outside a Duane Reade, and a small container of sea-salt caramel was five-fifty, and I gave them six which included a 50-cent tip. They gave me a small plastic spoon to eat it with. And then I had a bite. And... was I losing my mind? It tasted not salty, but sour, like yogurt. I tried another bite - sure enough, it still tasted sour. There were a bunch of other people waiting to be served at Screme and I was too embarrassed to make a scene so I just walked away and threw it into the first trash can I came upon. So now I was out six bucks and down to three dollars and no gelato. I happened upon a D'Agostinos and decided to try my luck there. No sea-salt caramel gelato. 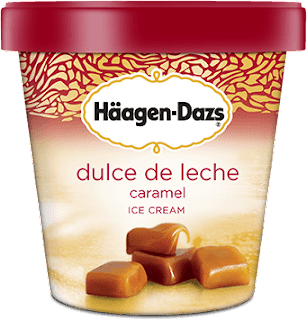 So I went with Haagen-Dazs Dulce De Leche Caramel. It may not be gelato but it tasted much better than that Screme crap. Luckily a three oz container was only two dollars so I got my treat with a dollar to spare. Maybe the other flavors at Screme were better. I don't know. But if you go there, do not get the sea-salt caramel. You have been warned. In Search of Shakespeare - OH YEAH BABY!